Malthouse Hill runs between Bartholomew Street and the High Street within the desirable Conservation Area of the town, at the end of the bustling High Street, with its variety of interesting shops, boutiques, restaurants and cafes, together with 4 supermarkets (including Waitrose, Sainsburys and Aldi), doctors' surgeries, etc. 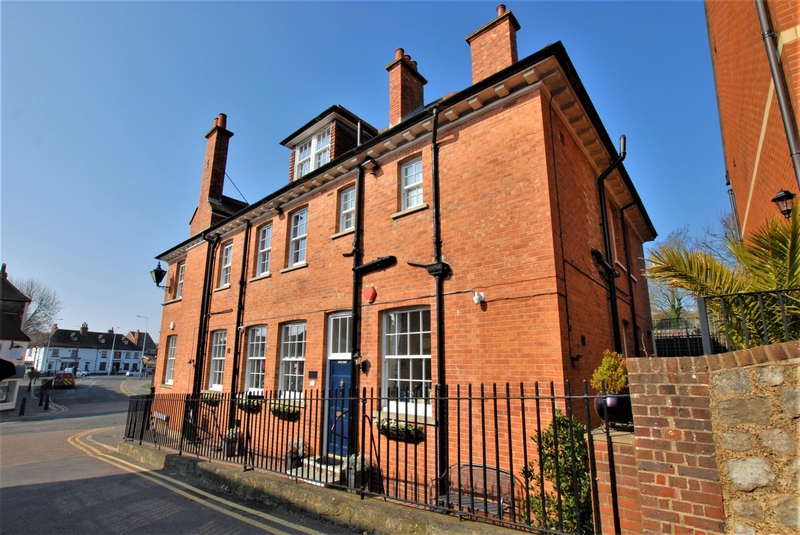 Forming part of "The Old Post Office" built circa 1910, this handsome period house has been lovingly maintained and much improved by the owners who are currently operating a successful Guest House business from the house. Whilst perfectly suited to this use the house also works well as a family home with a welcoming entrance hall, elegantly proportioned, open plan sitting/dining room with double doors opening onto the well fitted kitchen/breakfast room. There is also a cloakroom on the ground floor. Over the first and second floors are five bedrooms, three with en-suite facilities, the fifth single room with an en-suite cloakroom and a family bathroom. To the rear of the building there is a gated parking space where it is possible to fit two small vehicles and from here there is a side walkway returning to the front of the building providing a useful storage area. At the front of the house is a shallow courtyard set behind iron railings and entered via a wrought iron gate.